Where could be better than our newly renovated wine storehouse in which to taste local wines? 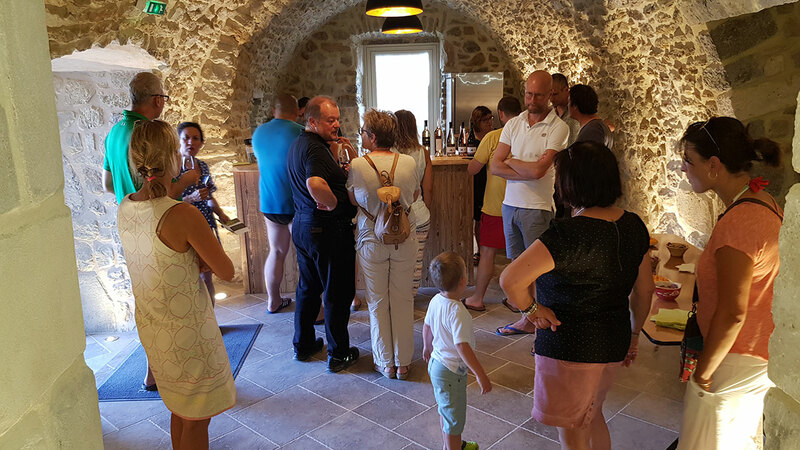 The freshness of the stone vault makes it an ideal place for wine growers to meet. Its atmosphere provides a pure moment of conviviality, during which wine producers can share their expertise.